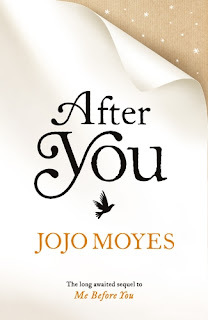 After You is the sequel to Me Before You and therefore this review may contain spoilers for the previous book. Perhaps all freedom - physical, personal - only came at the cost of somebody or something else. Unlike the thousands that begged for a sequel, I was content (happy is not the right word to use) with Lou and Will’s story ending. 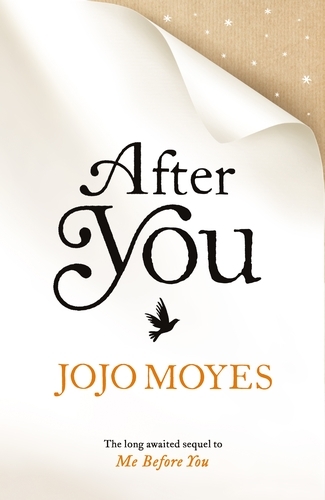 I was a bit sceptical when I heard about After You but of course I had to read it. I don’t think anything can quite capture the magic and raw emotion of Me Before You, but I did enjoy revisiting the characters. The plot is a bit meandering but it follows Lou a few years on when people are starting to think she should be moving on. It looks at ongoing grief from different angles, from Will’s family to those she meets in her grief counselling group. It’s not about the immediate, strong emotions, but living with a loss, that will never completely leave you, long term. It only slightly touches on the impact of being involved with an assisted suicide. The introduction of Lily was useful to allow Lou to revisit her memories, put her back in touch with Will’s family and also learn a little more about him. Despite being told to live by Will, Lou is still struggling to live her life to the full. Her fear of change is keeping her in a dead end job, anxiety keeping her in something that pays the bills at least, rather than venturing out into the unknown. Lou’s a fantastic character that I think many readers can relate to. There were unexpected moments when I was reading and would just tear up over little things. It makes you wonder if you can grieve for fictional characters. There’s plenty of evidence which suggests we temporarily experience genuine emotions as we feel what characters feel, at least in a good book. So many of us were broken by the ending of Me Before You after all. My name would be tied to his for as long as there were pixels and a screen. People would form judgements about me, based on the most cursory knowledge - or sometimes no knowledge at all - and there was nothing I could do about it. Lou’s mum’s discovery of feminism didn’t seem connected to the rest of the story and appeared to be more for comic effect than to make a valid point. She has been living in a traditional wife and mother role all her life; how do you deal with a husband you love that just can’t accept the change? Mr Clark gets the raw deal out of his portrayal and I think it’s a subject that deserved something more than just being an aside. I'm about 3/4 of the way finished with this. While it is an enjoyable enough read, I'm a bit disappointed, which is entirely my fault for hyping myself up so much for this sequel. I'm finally at the point where I can tolerate Lily, so maybe the ending will pick up for me.